Disclosure: This article is written by an IB with FXPRIMUS. The views written in this article does not reflect the official stand of FXPRIMUS. The forex industry has been bombarded with several high profile “scandals” in recent times. The most recent scandal, an event in China. These events lead to an erosion of trust in the eyes of clients and it does not augur well for the entire forex industry. So, is there really an honest and safe forex broker out there? Or, are all brokers the same? Wolf in sheep’s clothing who are out the get clients deposits? Traders trade forex to make money from profits. Brokers provide trading service for traders to earn a commission from spreads, etc. The problem starts when the broker uses the clients deposit to fund their next marketing campaign or grand annual dinner or a new Mustang for their CEO. When the client withdraw money, especially when it is huge, the broker will not be able to fulfill their obligation and pay the client because there no money left. In many cases, the broker will find ways NOT to pay the client by citing violation of terms and conditions, etc. These are standard procedures (trickery) employed by unscrupulous brokers to cheat clients of their money. This practice is WRONG, and it should be stopped. Clients should not be in the losing end. Clients deserves full and transparent information about their funds. Because it is their money anyway. The broker only serves as “caretaker” for the clients money and earn a commission from the spread. So, How Does FXPRIMUS Sets Itself Apart From Everyone Else? First of all, Fxprimus is a FULL Stp broker. The clients trades are straight away passed to third party liquidity providers. 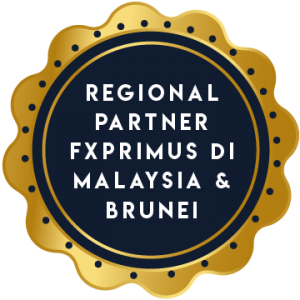 Fxprimus does not gain financially by trading against the clients to ensure that the clients lose their money. When the clients profit, Fxprimus also profits. And to ensure that the clients money are really safe, Fxprimus has recently introduced the Client’s Funds Insurance. Click here to read more about Fxprimus unmatched commitment to fund safety. So the conclusion is, as traders, you must find a forex broker that actually provides good service, that is transparent and honest, that does not hide behind legal clauses and trading restrictions, and that does not use lawyers to sue clients who complain about their service (yes, it happens). P.S. So, if you would like a safer environment for your funds, Fxprimus is and should be your No #1 choice. Click here to open an account with Fxprimus. ← Previous Previous post: It’s Time To Stop Wasting Time And Start Building REAL Wealth With Forex!